A police officer is an important component of the law enforcement and criminal justice system in the United States. The role of an officer depends mainly on the type and size of organization. 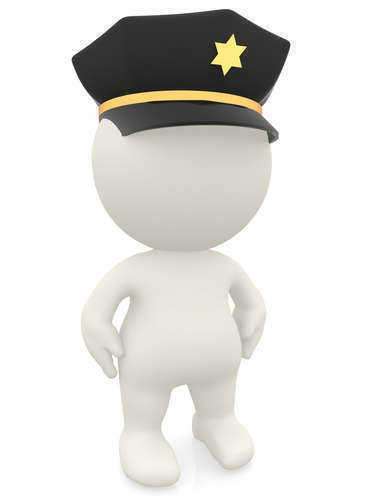 An officer’s role is to apprehend people who break the law and then give warnings or citations if necessary. The job also includes writing police reports and keeping records of the events that they are involved in. Within a given jurisdiction, an officer will patrol and investigate activity that is considered suspicious. They can also respond to civilian calls to investigate any suspicious matters. An officer can work on different levels of the government, for example for a local government up to a federal agency. Depending on this, the work involved can vary greatly. •	Uniformed cops respond to calls and maintain patrols. •	Involves paperwork and responding to calls. •	Investigate crimes, give first aid when necessary, direct traffic in an accident. •	Can be assigned to a specific duty if the department assigns it. •	Build a relationship with the individuals and citizens in the neighbor, which is also known as community policing. This is often done in urban areas, which allows the police force to help mobilize the neighborhood. •	Special training to work for positions such as a court bailiff or a guard at a prison. •	Can also work as a sheriff or a deputy sheriff. •	A cop can specialize in certain fields such as firearm instruction, fingerprint identification, canine corps, harbor patrol, emergency response groups, or special weapons and tactics. •	A state cop can also work as highway patrol officers or state troopers. What Can An Officer Legally Do? An officer is not above the law and must follow the same rules as other civilians. When on the job and making an arrest, there are certain protocols that an officer must follow. While he or she does not have to explain the crime that a person is being arrested for, he or she cannot use any form of brutality or excessive force. An officer can respond to an arrested arrest or violent actions with reasonable force. The requirements to become an officer can range from a high school diploma to graduate level studies depending on the position. Most cops take part in a training academy from their agency. Most local town districts or government agencies can provide more information on how to become a police officer.